This webinar already took place. Please register or login to watch the webinar on-demand. You can also have a look at upcoming webinars here. Learn about the capabilities and positioning of Dynamics 365 for Sales Professional and its value proposition in combination with Office 365. Dynamics 365 for Sales Professional is designed for organizations who need core Sales Force Automation capabilities and represents great opportunity to coach customers to embrace the cloud in combination with Office 365. As Product Marketing Lead, Tim oversees the go-to-market and product marketing for Microsoft Dynamics 365 for Customer Engagement in Western Europe. He’s a proud evangelist for the Customer Engagement portfolio, including Relationship Sales, Marketing, Field & Customer Service. In his 15 years in business, Tim has held several business development, sales and marketing roles in the Belgian tech industry. Recently he served as the CMO at Microsoft Belux. Watch this webinar and get instant access to Cloud Champion! 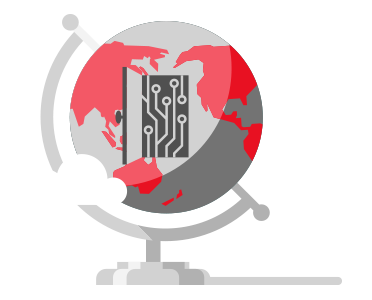 Cloud Champion is a free program offered by Microsoft Norway and your Distributor to help you grow your cloud business. The program provides personalized guidance, training, promos, incentives and resources in four key areas: Business, Sales, Marketing and Technical. By registering to this webinar you will automatically be registered in Cloud Champion for free to start improving your cloud business! About what areas do you want information?